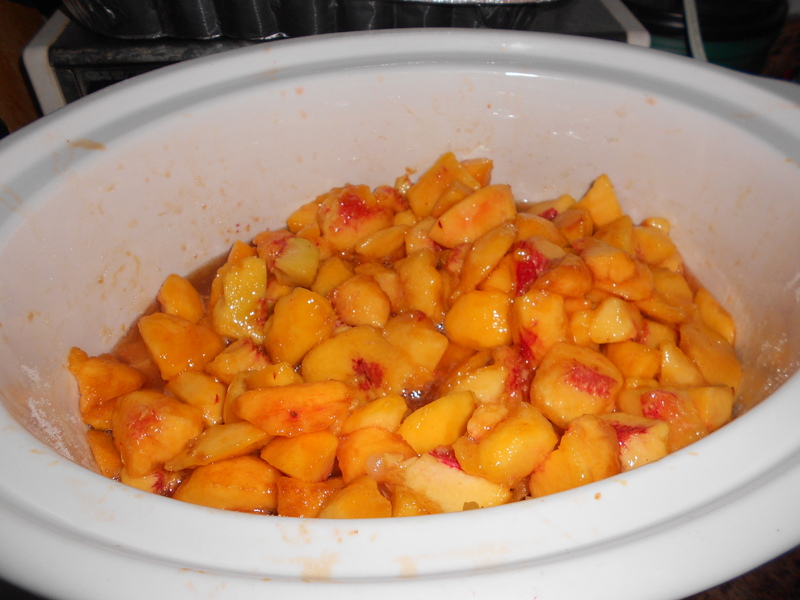 Peaches cooking down in the crock pot to make peach butter. 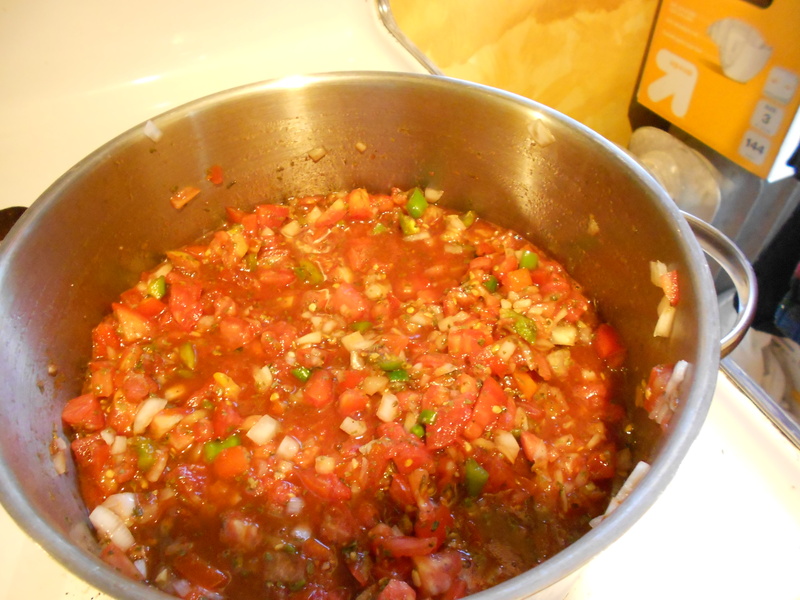 You start with cucumbers and onions. 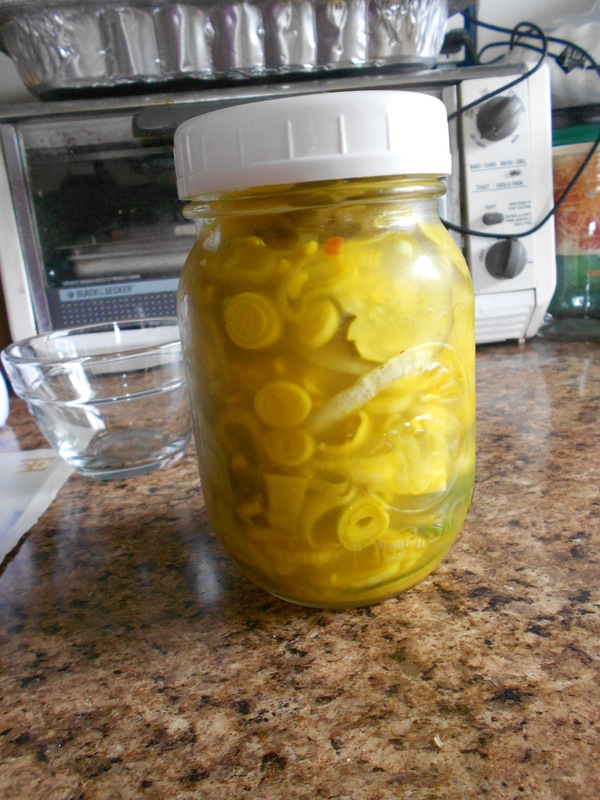 I like this recipe because it easily adaptable to how many cucumbers are growing on your plant. 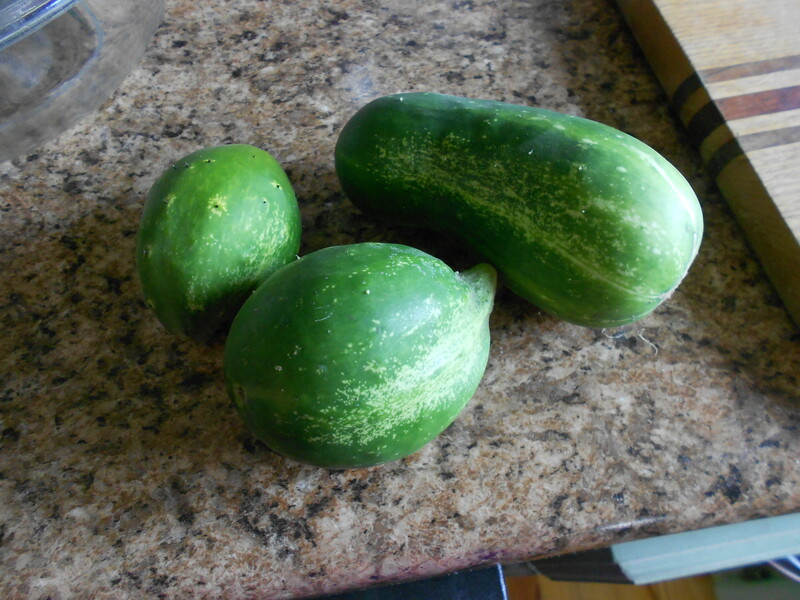 I know that most people’s cucumber plants will be producing mass amounts of these, but ours are having some trouble. You slice them and put them in a bowl. 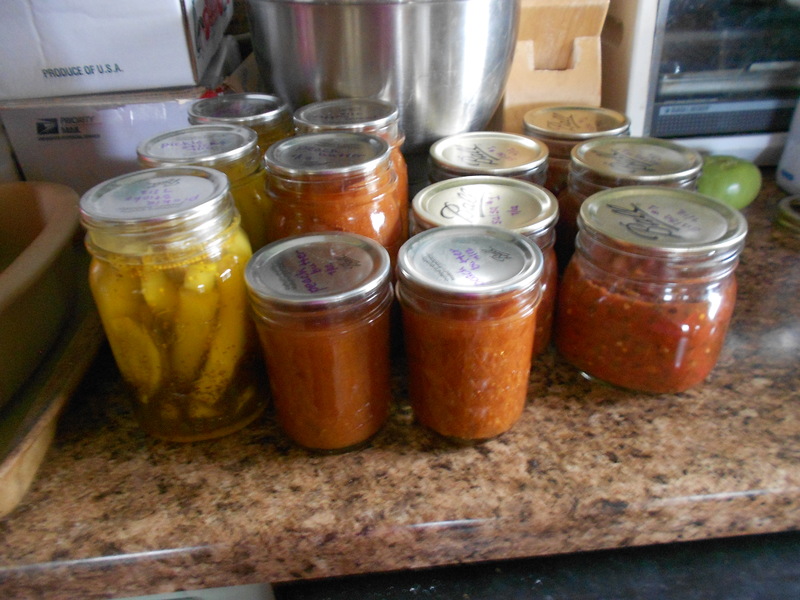 After sitting in the fridge for 4 days I put them in pint jars for easier handling. 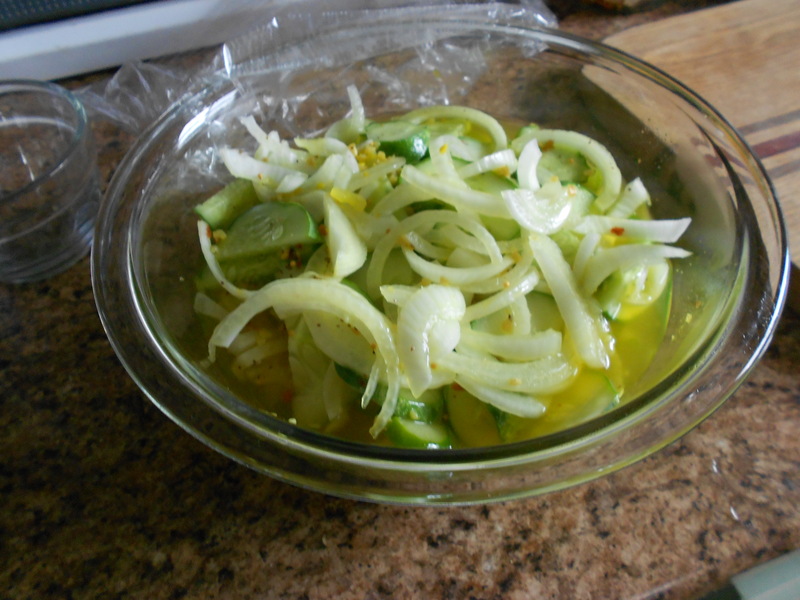 Place 3 cups cucumber in a medium glass bowl; top with 1 cup onion. Repeat procedure with the remaining 3 cups cucumber and 1 cup onion. 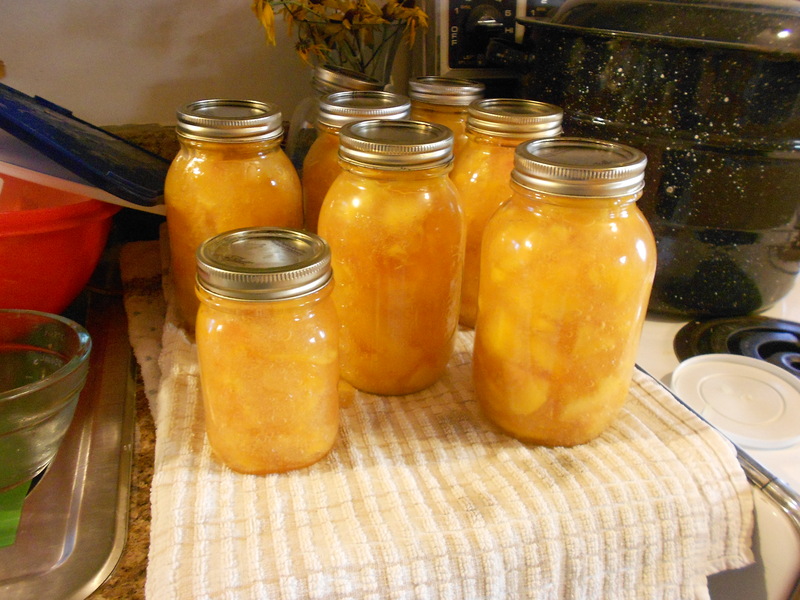 Pickles may be stored in the refrigerator for up to one month.